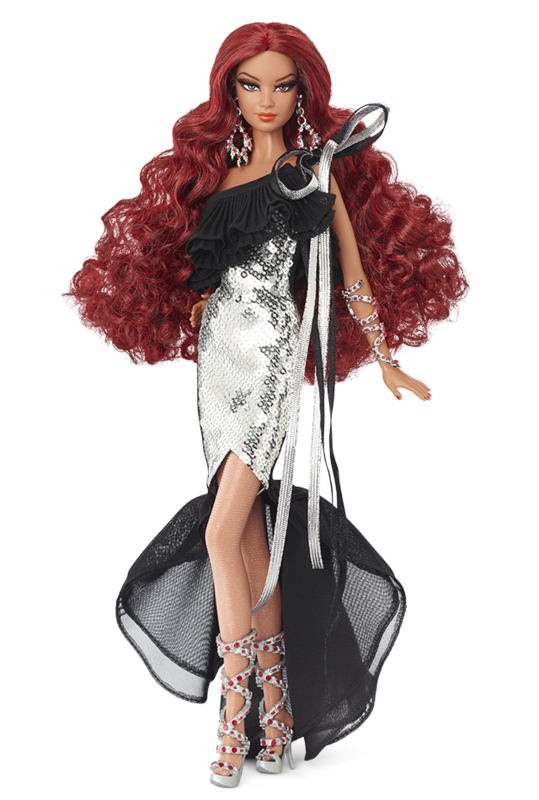 Stephen Burrows returns with his third fabulous Barbie®doll. Nisha™ wears a dress featuring a one-sleeve design and countless sparkling, silvery sequins. A dramatic black ruffle and matching train create drama. Long silvery chandelier earrings and strappy sandals surprise with “gem” accents. Inspired by Mr. Burrows’ own Native American heritage, Nisha™ is named for the Cherokee word for night. ← Vogue Magazine August 1970.